Aric Almirola started 12th and finished Stage 1 in 17th. Almirola made a scheduled green-flag pit stop on lap 48 for fuel, four tires and adjustments to help with his tight-handling Ford. The balance of the stage ran under green, and Almirola finished 17th, one lap down in the Smithfield Helping Hungry Homes Ford. Almirola started Stage 2 in 23rdand was 18that the conclusion. During the first caution of the race, Almirola visited pit road from 17th on lap 129 for service to help with the No. 10 machine’s handling after reporting he needed more front turn. He restarted 23rd and worked his way up to 18thbut remained one lap down in the Smithfield Ford to end the stage. Almirola started the final stage in the 17thspot and ended it 14th. The Tampa native made a scheduled green-flag stop for service on lap 287 while running 15th, two laps down. The fourth caution of the race came out on lap 312. Almirola had brushed the wall while running the upper groove, so as he visited pit road for fuel, four tires and adjustments, the pit crew pulled the right-side fenders out. When the fifth caution was displayed on lap 328, Almirola stayed out on the track and took the wave-around to gain one of his two laps back, restarting in 13th. The sixth caution came out shortly thereafter on lap 345, and Almirola once again stayed out on the track. He took the wave-around from the 13thposition to get back on the lead lap. The remainder of the race was under green, and Almirola finished the event in 14th. He also secured his spot in the 2018 NASCAR Playoffs. 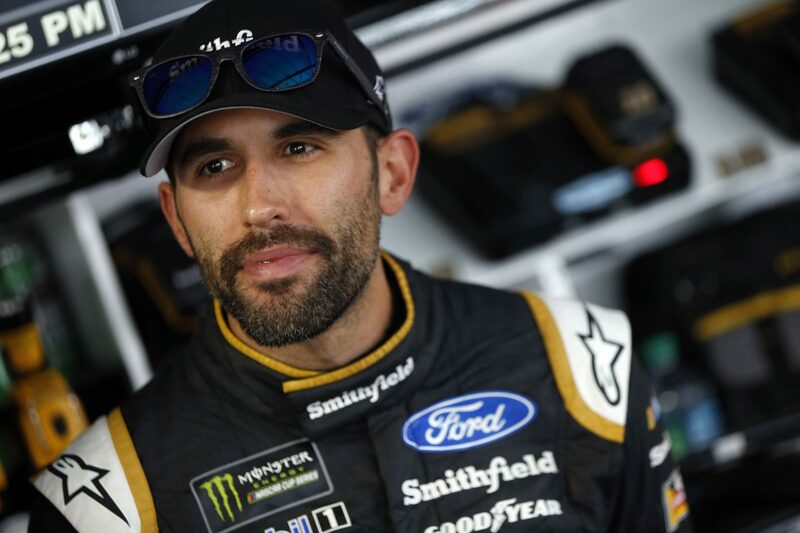 Almirola earned his second top-15 in seven career Monster Energy NASCAR Cup Series starts at Darlington.